Rackensack Wash, Maricopa Co., Arizona, USA. 15 July 2012. Near the center of a complex scaffold of webbing supported quite regularly by cactus stems will be a house of silk and dried leaves. 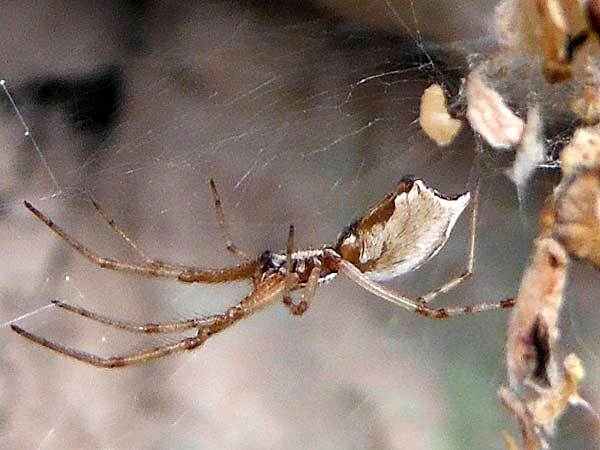 The spider remains concealed within until a prey item is entangled in the web. The posterior segment or abdomen is laterally compressed and marked with brown and white.